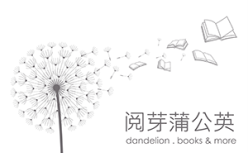 Dandelion is a home-based Chinese reading program ideal for families with children aged 0 to 8 years old in Singapore. Our comprehensive program empowers you, parents, aiding you in holding rich reading sessions regularly with your child at home. This quality time spent reading and interacting with your child strengthens bonds in your family, which in turn support learning and the cultivation of good reading habits. Experience how convenient it is to carry out a rich and interactive reading session with your child with Dandelion. "... the more reading material kids are exposed to at home, the better they score on reading tests throughout their lives... we need to get books in our kids' hands early and often... as parents, we need to find the time and the energy to step in and find ways to help our kids love reading..."
- From Obama's speech, "Literacy and Education in a 21st-Century Economy"